Audi has shown off the first fruits of its partnership with Google at CES. The german car manufacturer showed off the Audi Smart Display at the event. 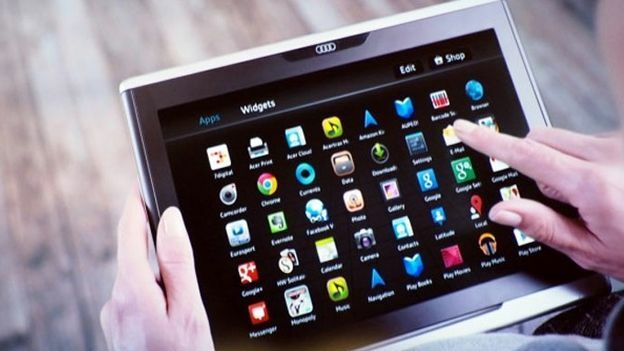 The Audi Smart Display is a 10.2-inch Android tablet that has been designed to used within the car at all times. In addition to the obvious use as a large satellite navigation device, it also has the ability to access the web, display movies and control the car's radio. It is unclear if the tablet will also be able to control other functions within the car, or whether it is able to display car data. We suspect the tablet will be capable of the latter at the very least. Specs wise, the tablet is powered by an Nvidia Tegra 4 chipset and comes Wi-Fi only. Neither Audi nor Google has said which version of Android it will run. The reason the tablet doesn't feature 3G or 4G connectivity is because the models that will be compatible with the tablet will feature in-car Wi-Fi. Audi's tablet has been designed to survive temperatures of up to 80ºC and also comes with crash resistance features built into it. There's no word on when it will be coming to the UK, or which models and trims it will be available in. We'll update this story when they become available.